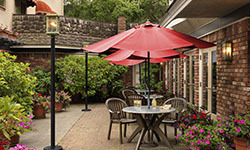 The dog owner must provide all bedding equipment, feeding and drinking dishes and food. Proper arrangements must be made for walks and exercise as needed and to generally ensure the well-being of the dog. Dogs may not be left unattended in the room, or in any other area on the hotel premises, without the hotel’s knowledge and consent. Dogs left unattended without the hotel’s consent, or dogs that cause problems, may be ordered removed, at the hotel’s sole discretion. The dog’s presence and behaviour will not be allowed to affect the well-being and quiet enjoyment of the hotel premises by other hotel guests and patrons. The owners assume full responsibility for any damages, however caused, resulting from the dog being allowed in the hotel’s premises. A minimum charge of $50 per dog per stay will apply. No more than two dogs are allowed in a room or suite of this hotel. For your convenience the Royal Scot Hotel & Suites offers free wireless internet access in all rooms and common areas of the hotel. 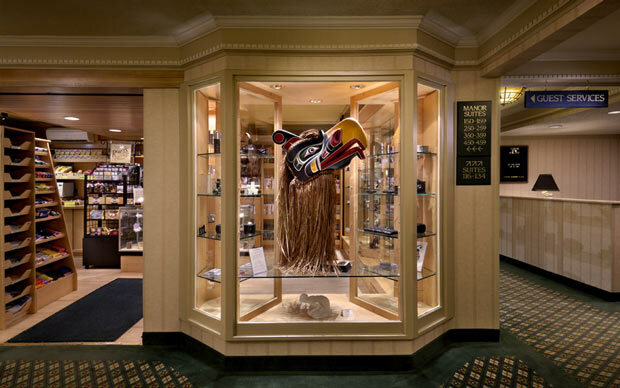 Our gift shop features original artwork and a selection of fine foods. You will also find a wide variety of personal and sundry items, local and international newspapers, magazines, postcards and paperback novels. Our clerks will also be happy to help you with information about Victoria and the surrounding area. They can also book any tours you may be interested in. 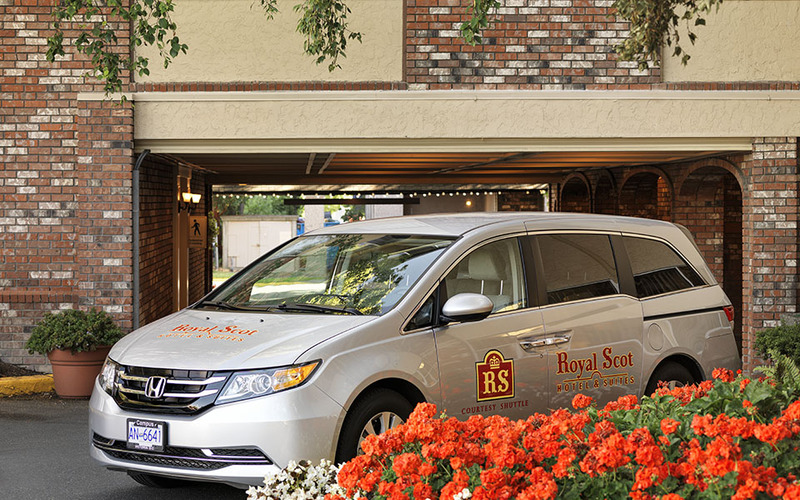 Our courtesy shuttle service is for the exclusive convenience of our guests and runs from the hotel to the downtown core during bellman's hours. Transportation to places such as the bus depot, the Clipper and Coho Ferries as well as float plane docks are all within range. Downtown shopping, restaurants and attractions are all within walking distance, but if preferred a courtesy shuttle drop off or pick up can be arranged. 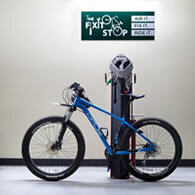 Our shuttle is operated on a first come first serve basis. 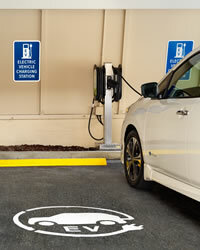 Onsite parking is available for a fee. 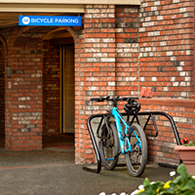 The hotel offers both above ground and covered parking. 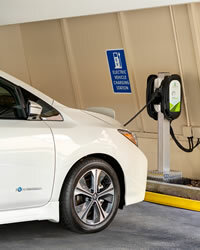 Electric vehicle charging station now available! 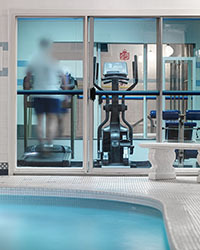 Guests of The Royal Scot Hotel & Suites enjoy our indoor pool, whirl pool, saunas and exercise room featuring a tread mill, stationary bike, elliptical trainer and weight machine. 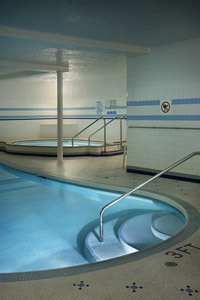 In both the men’s and women’s change rooms you will find keyed lockers and pool towels. Just around the corner from the pool you will find our billiards room complete with a 4' x 8' pool table, as well as an official size shuffleboard table. 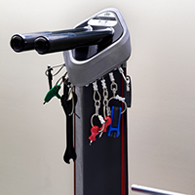 Use of these tables is free to all guests staying at the hotel and the equipment and rules can be picked up from our front desk. 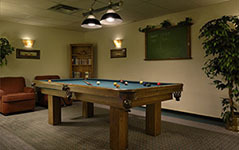 The games room is located across the hall from the billiards room. The games room is an ideal place to gather with friends for a game of bridge or if you just want to relax while you do your laundry. 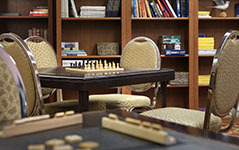 In the games room you will also find a variety of table games, puzzles, books, newspapers as well as a TV for your viewing enjoyment. 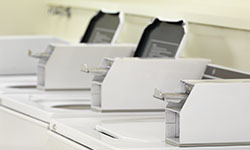 Same day laundry and valet service is available through the hotel. Laundry bags and pick up time schedules are provided in your suite. For your convenience, there are two coin operated Laundromats located within the hotel; one on the lower level and one in the manor wing. Change can be obtained from the front desk, and if you didn’t bring any detergent, our gift shop will be able to help you with that. 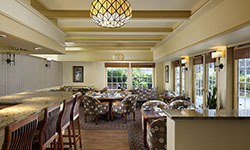 Jonathan’s Restaurant is open to serve you breakfast, lunch and dinner from 7:00am. Room service is available. Please click here to see Jonathan’s menu. All services are available at a nominal fee.